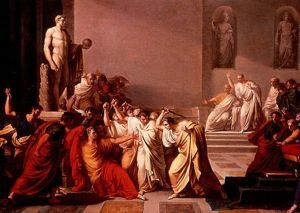 When are the Ides of March, and why beware them? What are the Ides of March? We in modern times probably wouldn’t know, if it weren’t for William Shakespeare. If you have heard of the Ides of March, you know you’re supposed to beware them. Why? In ancient Rome, the Ides of March were equivalent to our March 15th. If you’ve heard of the Ides of March, it’s probably thanks to William Shakespeare. In his play Julius Caesar, a soothsayer – or fortune teller – says to Caesar: Beware the Ides of March. In the play – and in reality – Julius Caesar was indeed assassinated on the ides of March – March 15 – in the year 44 B.C. In the ancient Roman calendar, each month had an Ides. In March, May, July, and October, the Ides fell on the 15th day. In every other month, the Ides fell on the 13th. The word Ides derives from a Latin word which means “to divide.” The Ides were originally meant to mark the full moon, but because calendar months and lunar months were different lengths, they quickly got out of step. The Romans also had a name for the first day of every month. It was known as the “kalends.” It’s from this word that our word calendar is derived. 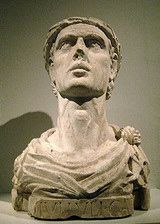 In fact, our modern calendar is very much like the one that Julius Caesar enacted the year before his death. It had 365 days and 12 months each year. It even took into account the fact that Earth’s orbit around the sun isn’t a whole number of days by adding a leap day every few years.